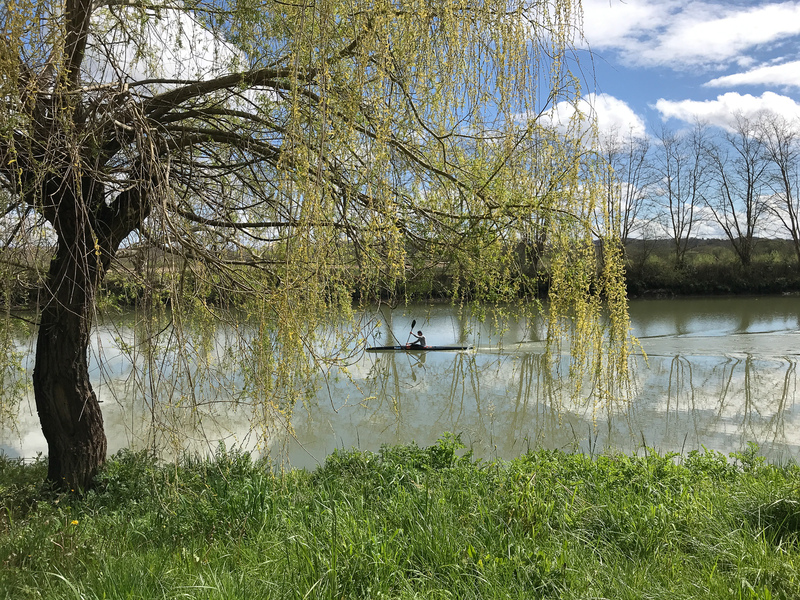 Flat land, willow trees, racing kayak. Could be the River Cam. Why did I bother coming all this way?